We realize the our very best advertising is a job well done. We consider the satisfaction of our clients to be our greatest achievement and take pride in our high volume of repeat business and referrals. If you would like to speak personally with any of these people regarding their experiences, please don't hesistate to contact us. We'd be happy to make the introduction. "My whole experience was wonderful and I wouldn't hesitate to recommend them to anyone." "Carla, Cal and Dolores were wonderful to work with. They worked tirelessly to find me the perfect home and helped me understand the entire process. I felt really well taken care of from the initial exploratory meeting straight through to the move into my new home. The entire Hart Realty Team always had my best interest in mind and made me feel very comfortable purchasing my first home by myself. They were always available to answer my questions or take me to view a place, even on short notice. My whole experience was wonderful and I wouldn't hesitate to recommend them to anyone. I will definitely be using them again in the future." "I would without hesitation say this was my best experience ever working with real estate agents and completing sales." "This letter is my personel recommendation in using the Hart Realty Group for your next sale or purchase of a new home. Being involved over the years in numerous real estate transactions. I would without hesitation say this was my best experience ever working with real estate agents and completing sales. Looking for a new home was extremely challenging due to the turn in the market and limited homes available. They worked extremely hard to look for houses for me, even from other sources than the MLS and making sure I had the latest information on market trends, houses available and all new listings. As soon as there was one available they called immediately and set up a showing. Through a ton of effort and quick response on their part we did manage to find a home that fit all my criteria in a fantastic location.Once again the transaction went extremely smooth with little effort on my part. 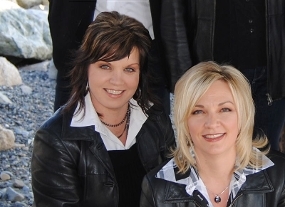 I highly recommend this team and their team approach for any real estate needs." "The service Carla provided well surpassed our expectations." "Carla was amazing to work with! We experienced nothing but professionalism and the service she provided well surpassed our expectations. We were impressed with her valued insights and stellar guidance, which made the purchase and selling an easy transition two times over. Thanks to Carla and her team"
"You over exceeded our expectations again and made the entire process smooth"
"Catherine and I would like to say thank you for all that you have done for us during our stay in BC! Four years ago, I was promoted with my company and that included us moving to BC. Coming from Québec, we had very little knowledge of the area where we would want to live. I did some research on the Internet and found a real estate team located in White Rock...Carla Hart Realty Group. Cal was the person I spoke to and I told my wife that I felt an instant connection. You were very approachable and friendly, you asked the right questions and made me feel like the move would be great (very important during a high stress period). I can now tell you that that phone call is the BEST phone call I have ever made. You truly helped us find a great place in a superb location, you listened to our needs and were very accommodating, but most of all you made the experience fun! When we recently found out that we were moving back to Québec, there was only one real estate professional we thought of calling to sell our property...Carla Hart. You over exceeded our expectations again and made the entire process smooth...the house sold quickly and you got us the best "bang for our buck"! Thanks again for all that you have done for us, we now consider you friends...FOR LIFE!" "Best described as efficient-experienced-ethical with excellent closing skills." "Carla is a well informed co-operative, motivated,realtor who always handles sales and purchases in a professional and respectful manner. Best described as EFFICIENT-EXPERIENCED-ETHICAL with EXCELLENT closing skills. We highly recommend her services. We have known her for many years and through real estate ventures have become friends.We highly recommend her services. Thank you Carla for all the help you have given us and we wish you continued success in your future endeavors." "I cannot say enough about the excellent experience we had in working with Carla." My wife & I were unfamiliar with the White Rock Area but were interested in what was available. Carla prepared a shortlist of available product & provided us with choices that allowed us to make the purchase that was just right for our needs. Our complete search allowed us to feel that we purchased the right residence at the right price. In closing the purchase we were provided with alternative building inspectors, lawyers, alarm companies, other services (as well as helping us furnish our home), while being treated with courtesy, enthusiasm, honesty & professionalism above compare. 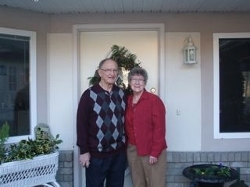 Carla & Cal helped us over & beyond in order to get us settled in to our new residence. If you want someone to take care of your real estate needs look no further than Carla Hart as her sensitivity to her clients matched with her knowledge guarantee client satisfaction. I cannot say enough about the excellent experience we had in working with Carla & Cal. We would be happy to share our experience further with personal contact. "Carla is very attentive to client needs and requirements"
"Carla Hart … knowledgeable, competent, resourceful, attention to details, timely, ethical and a person of integrity … qualities I have personally experienced in my interactions with her over the past 5 years! She is indeed a trustworthy realtor who strives to create a win-win outcome for both buyer and seller in every transaction. An extremely good listener, Carla utilizes both intelligence and intuition to come up with resourceful solutions. 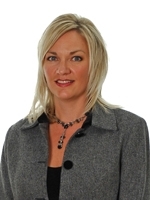 I most certainly and unreservedly endorse Carla as a dynamic and caring realtor!" "I wouldn't hesitate for a second to use their services again"
"Buying or selling real estate is not something most of us do on a regular basis, so when it comes time to do just that, relying on word of mouth seems like the most reliable means of finding a trustworthy and competent realtor. It's this philosophy that led me to Carla and Cal and I couldn't be happier with the results. I had what I thought to be a reasonable idea of how to go about selling my existing property and locating and purchasing a new one. Consulting with Carla and Cal proved that there was a multitude of details I had not considered and doing so undoubtedly fetched me a greater amount for my house in a shorter period of time and made purchasing a new home less of a stressful and time consuming experience. In our modern world it doesn't seem to matter whether you're looking for someone to paint your house, repair your car or cut your hair, finding people who genuinely care is becoming more difficult by the day. Carla and Cal have proven to be a breath of fresh air in a field too often dominated by greed. On numerous occasions the pair went above and beyond what I had expected and their efforts were clearly reflected in their results. Unlike other realtors I have spoken to, they strive to tell you the truth, even if that may not be what one wants to hear. If you're looking for a realtor, and by the fact that you're reading this you probably are, remember that it pays to do your homework. Speak to friends and trusted acquaintances to get their feedback and opinions on their realtor experiences. I myself can only say good things about my experience with Carla and Cal. I wouldn't hesitate for a second to use their services again and am quite certain that you would also be more than satisfied with their efforts." "They have a comprehensive understanding of how to get a home sold in ANY market." “I have had the pleasure of knowing Carla & Cal for many years and even worked with them for some time. In 2013 they helped me sell my home of 12 years. The thought of using a different realtor never entered my mind. 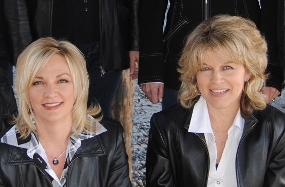 "Carla & Cal are a dynamic real estate duo. They have a comprehensive understanding of the ever changing real estate market and vast experience and knowledge of how to get a home sold in ANY market. They use cutting edge marketing techniques which set them apart from their competition. They consistently go the extra mile to overcome any challenges or obstacles. They are friendly, effective, diligent, classy and absolutely the best choice for your next home purchase or sale." "We think you knew us better than we knew ourselves"
"Thank you so much for making the journey of relocating as pleasant as possible. We are so happy with this new home you found for us, we think you new us better than we knew ourselves sometimes...it is a perfect fit! Thanks for all your help, smiles & hugs along the way, your patience and understanding and truly trying to do the very best for us - and you did!" "Their professionalism, caring attitude and friendly service is second to none." Cal and Carla showed my family that there is still good and responsible people out there that consciously put others first. Their professionalism, caring attitude and friendly service is second to none. It didn’t take us long to realize that we made the best decisions of our life by trusting these lovely people. 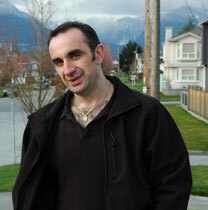 They sold my house in Langley at the time that no other realtor would even answer my calls. They found the house for our friends with 5 kids (age of 3 months to 11 years) with lots of patient, understanding and kindness. They helped us to purchase a house in Burnaby with understanding our situation and giving us tons of advice and support to make a right decision for our family. We would proudly recommend Cal and Carla for all your real state needs. We would be more than happy to discuss our experience with anyone at any time. Cal and Carla, thank you very much for everything. "There is no way we could have made the right choices without them on board." "Moving can be stressful even under ideal circumstances. Add moving from one province to another, and you've got potential for disaster. That was the reality for our move. Cal, Carla and Dolores of Hart Realty made the process so much easier, in fact enjoyable for the most part. You have to really trust your realtors when working long distance, and these three made that possible. Their diligent hard work in finding the ideal place for us was evident in everything they did. They were honest with their opinions, with different skills providing different outlooks, all valuable in the elimination process. There is no way we could have made the right choices without them on board. We learned a lot, and always felt listened to and cared for. We would highly recommend Hart Realty to anyone who needed honest, hardworking, professional realtors." "Carla understands the market here very well, and is a caring, honest and very professional Agent." This is a letter of recommendation for Carla Hart and her team. I met Carla through a family member who suggested that she would be the perfect Real Estate Agent for us. He was right. Carla and her team aided us in selling our family home, which was too big for us now, and helped us in downsizing to a home that met all of our needs in the White Rock, BC area. Carla understands the market here very well, and is a caring, honest and very professional Agent. Carla sold our home in a very reasonable amount of time during a slow season of home sales. She never made us feel that we had to settle with lowball offers and was there for us when we were given an appropriate offer. Carla took care of all the paperwork and made sure everything was in order. When it came time to then buy our new home, she only showed us places that were in our parameters and paid close attention to the comments that we made on these homes. I had complete faith in Carla throughout the entire process and have moved into the perfect home that met all of our needs and more. I will continue to recommend Carla to colleagues, family and friends"
"As expected, the service and representation I received was outstanding right from the very beginning." "Being a long time friend of both Carla and Cal's, from both personal experience of knowing them and the positive feedback I've had from other friends & family who have had Carla represent them in their real estate transactions, I automatically knew exactly who to choose to help me purchase a new home. As expected, the service and representation I received was outstanding right from the very beginning. Carla's extensive knowledge of the community and ability to clearly communicate and explain the entire process & dynamics of condominium living helped ensured I was making a sound decision. Carla was always quick to respond to my questions with a friendly, always helpful attitude. Even considering the rapid sales market in South Surrey/ White Rock, within one week she was able to help secure me a terrific deal on a great unit I feel is perfect for me. I'm glad to have them both as friends and would highly recommend Carla Hart as an honest & caring agent." South Surrey /White Rock, B.C. "From my first discussions regarding the clean up and sale of my fathers home I knew I was in good hands." "I Have absolutely no hesitation highly recommending Carla and Cal from Hart Realty Group for your next real-estate adventure whether buying a new home or selling your current home, I guarantee you will never go wrong with these two professionals. A few years ago my father was moved into a extended care facility and the task of cleaning out his home and preparing it for sale was upon me. From my first discussions with Carla and Cal regarding the clean up and sale of my fathers home I knew I was in good hands. Both Carla and Cal were incredibly helpful and supportive throughout the whole process. From their first initial visit to my father’s home while the house was still a bit of a disaster zone (my father was somewhat of a pack rat). To the clearing out and cleaning up process. They always kept in contact with me offering suggestions and help to move things along. Making arrangements to meet with myself and my father at his care facility to discuss putting his home on the market, list price etc. Paying keen attention to not only what my expectations for the sale of the house were but also sharing compassion, understanding and patients towards my father as the time grew near to sell his most prized possession, his home. They guided my father and I through what many say is the one of the most stressful times in a persons life, the sale of their home and made it a comfortable, smooth transition and for that I will always be grateful. Respectful, professional, attention to detail, good listeners, reliable, responsible, supportive and just all around good people. These are just a few of the words I would use to describe the Hart Realty Group. Thanks again Guys, your the best." "They told us what they could do, and then they went out and did it!" When we decided to sell our White Rock condominium in order to pursue our dream of moving to Mexico, it was very important to us that we choose a realtor that we could work well with. Our condo was a special property that required the best possible marketing job to match the property up with equally special buyers. Fortunately we made the best possible choice; we chose the Hart Realty Group and more particularly, the team of Carla Hart and Cal Mennie. Carla and Cal provided the right advice and tailored our sale to meet the highly competitive market conditions. They told us what they could do, and then they went out and did it! They got the best possible deal for us while ensuring that the buyers were also treated fairly and honestly. If you want the best realtor to represent you, avoid the rest and call Carla at the Hart Realty Group. You will be as glad as we are that you did! "Carla went above and beyond our expectations of a realtor." 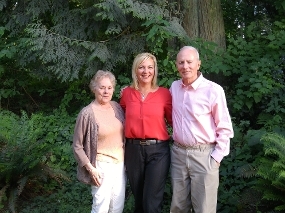 "My mother recently went into an extended care facility and we needed to sell her West Vancouver condo. This process was complicated by the fact that we live out of province and her home was located in the heart of downtown Vancouver. Carla was very professional and incredibly helpful in not only the sale of the unit, but also in getting the condo prepared for sale, and having it cleared out before the buyer took possession. This situation could have been extremely stressful but Carla’s knowledge, professionalism, and helpfulness combined with her pleasant manner made it virtually stress free. Carla went above and beyond our expectations of a realtor." Welltec - "Global Drilling Solutions"
"The enormous effort they put forth selling my home made it clear they know what they're doing." 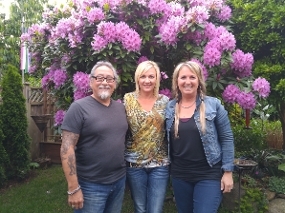 "I met Carla and Cal about 5 years ago when I hired the Hart Group to sell my South Surrey property. I was immediately impressed by their friendly outgoing manner. The enormous effort they put forth selling my home made it clear they know what they're doing. After selling my home I was happy to be able to count on this experience when they helped me find a new house in White Rock. They made the whole experience a delight and very enjoyable and I can safely say I've made some good friends and am using them again to sell my current home. You won't be disappointed when you hire the Hart Group to sell or buy your next home. Thanks Cal and Carla for all your hard work." "They did more for us than any other agents from all our moves." What a dynamic team........without capes!!!! "We were very fortunate to work with a great team who listened to our wish list and set out to accomplish it. They did more for us than any other agents from all our moves. The girls went way beyond their call of duty, like finding bus and train routes for our daughter who is attending SFU, gave us info on the community we located to, numerous follow up phone calls on how they can help us or if we needed anything. They even went so far as to say they would help me with the house inspection when my husband was out of town. They were there when we received our new house keys and helped us celebrate!! This team are a warm, generous, patient, ambitious, knowledgeable, approachable, friendly group of individuals that were a pleasure to work with. We would strongly recommend them to help you buy or sell a home." “We will certainly be calling on the Hart Group to work with us again." "Recently we sold, and bought, our home under the tutelage of Carla Hart. Our experience was fantastic. We sold our townhouse in 24 hours and bought our existing home, also in 24 hours. Now this may not be the situation with all real estate transactions that they move so quickly, however the positioning of our town house on the market certainly did attract the attention that we were looking for. In purchasing our new home both Carla meticulously went through the contract to purchase and the house which increased our feelings of trust and well being. We felt so well taken care of while putting together these transactions. We highly recommend the services of Carla Hart and the Hart Group. We will likely be living in our current home for many years and if there is an occasion for us to require a realtor we will certainly be calling on the Hart Group to work with us again. Rob Pope and Ciel Ellis. "This is not the first time I purchased a home but it was truly the best experience I ever had doing so." I just want to take a moment to express my gratitude for all your hard work in helping me find my new home. You were truly great at keeping me grounded and for always being there to answer all my questions (and god knows there was a lot of them). We both know this is not the first time I purchased a home but it was truly the best experience I ever had doing so. A client and friend of yours forever. “She was never pushy to make a sale and was helpful in pointing out things to look out for". "With the help of Carla and Dolores we managed to find a home that fit all our criteria in our favored location. We always received an honest opinion that was valuable to us in the elimination process. She was never pushy to make a sale and was helpful in pointing out things to look out for. She was very patient with all 3 of our schedules. We would recommend her service to anyone and look forward to using her services again in the future." "We found Carla did not waste our time showing us properties she knew were not for us." "As if moving to Calgary from Ontario was not enough pressure, we had to look in the hot Calgary market to buy our home. After going through a couple agents we decided to hold off... I saw Carla's picture in a real estate brochure. It jumped out at me as if to say "give it another try". I called her at 8pm that night; we received a call back within a half an hour. We met the next day and we were asked what our desires were and what we could live and live without. We told her what we wanted and had property matches sent directly to us. We found Carla did not waste our time showing us properties she knew were not for us. We really appreciate all that Carla and her team have done for us. They are very patient, knowledgeable and understanding. We are 100% satisfied with our decision to move to Calgary and having them as our real estate agents. You guys rock!!!" "They showed professionalism throughout the entire process of the sale that extended beyond and above my expectations". Carla Hart, Cal and her team were an outstanding group of people to work with who have great knowledge of the real estate market. They showed professionalism throughout the entire process of the sale that extended beyond and above my expectations. The preparations for the sale of the home were excellent and all the prospective clients were taken care of respectably. Any requests I made were taken care of promptly. Their effort and dedication were second to none and I am very glad that we were able to sell the home as quickly as possible and at the expected price. Thanks to their exceptional service and abilities, I was able to rely on them to accomplish the sale without any stress on myself or others. I would recommend Carla Hart Realty to any of my friends and family for any real estate needs! Thank you very much. "Their attention to my needs and requirements were meet with upmost professionalism thereby making the relocation that much easier." "As a newly relocated resident to the Greater Vancouver Area, the wonderful team work from Dolores, Carla and Cal found me the ideal home. Their attention to my needs and requirements were meet with upmost professionalism thereby making the relocation that much easier. I would highly recommend the Hart Realty Group to anyone for their real estate needs." "She was more concerned with meeting our needs than making a quick sale." "Because of past experience we were ready to try to sell our home ourselves, but Carla convinced us to give her a try - we are so glad we did! With her professionalism she went over and beyond our expectations. She was more concerned with meeting our needs than making a quick sale. She was very kind, professional and give us straight answers. She was not pushy at all. We've already recommended Carla and her team to others!" "Hats off to a job well done...professionalism, personal care, attention to detail and value-added." "Thanks for everything. I have bought and sold houses a number of times over the years, and I must say that I enjoyed working with you the most. I know I wasn't the best client... You always followed up to make sure I was satisfied. Hats off to a job well done...professionalism, personal care, attention to detail and value-added. Thanks and good luck. I would welcome using you again if the need should ever arise." "They were very thorough and well organized from the very beginning and did and exceptional job of listing and marketing our home." "We originally chose Carla's team to list our home due to the great feedback we got from out neighbors who had used them to sell their home. We found Carla to be a great at listening and understanding. They were very thorough and well organized from the very beginning and did and exceptional job of listing and marketing our home. We sold the home that right away, even getting more than we asked and the sale went off without a hitch. We've enjoyed the whole experience. Great job.Thanks guys!" "They are not just real estate agents,they are a total package - ahead of the pack." "After 110 days on the market and no results with one of Calgary's top realtors, my wife and I realized that we hired a "lister" not a "seller". We swiftly changed our strategy and did our homework. After an extensive search we found Carla & Cal. Within a few days sold our home! They went above and beyond our expectations. This team has a very unique stategy for finding clients, they are not just real estate agents,they are a total package - ahead of the pack. We have already recommended them, and will do so very proudly going forward. If you are buying or selling, our advice would be to give Carla & Cal a call!" "We are very pleased to say that because of Carla we now own the house we were looking for and we have never been happier!" "As a first time buyers it was a pleasure to work with Carla and her team. When looking for a house they were readily available to view a property whenever we requested. Carla was instrumental during the closing of our house. If not for her expertise and guidance we could not have put together the offer that beat out 3 others in an extremely competitive housing market. We are very pleased to say that because of Carla we now own the house we were looking for and we have never been happier!" "Carla Hart is a very intelligent,astute agent with great concern for the person she is acting for." "I met Carla Hart when I phoned to inquire on one of her listings that were advertised in a daily newspaper. Unlike other numbers I called, she returned my call within 15 minutes of my recorded message to her. Carla has been most diligent in finding me what I was looking for. She was very helpful in showing me the positive and negative aspects of the properties we viewed. I am most happy with what we got. I feel it is a good investment and the best for the money I paid. 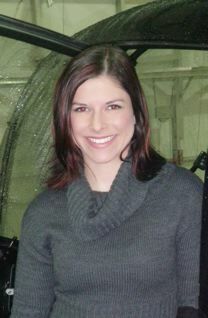 Carla Hart is a very intelligent, astute agent with great concern for the person she is acting for. I recommend her as a real estate agent to anyone who wants a concerned and diligent agent to sell or buy property." "We ended up in a multiple offer situation, which they coached us through wonderfully, resulting in the purchase of our new home." "We wanted to take the time to recognize the great work that was done by our agents Cal & Carla. We came upon them by accident after a call placed to one of their ads two years ago. We immediately set up a meeting to discuss our housing needs and soon realized that they were exactly the type of people we were looking for. They offered to help in whatever way they could including even offering to try help us sell our car for our down payment! We ended up in a multiple offer situation, which they coached us through wonderfully, resulting in the purchase of our new home. They also recommended a mortgage broker and lawyer to us who were also a pleasure to work with. Throughout the whole process they had faith that we would find exactly what we wre looking for and invested so much time and energy helping us do just that. Thank you so much for everything!" "I've already recommended Carla to a friend and will continue to brag about her to anyone who will listen!" 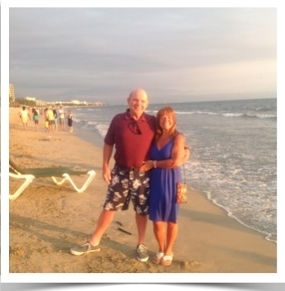 "We recently sold our home with the help of Carla Hart. We interviewed several realtors before meeting with Carla and we were immediately comfortable with her style and approach to selling our home. She viewed our home and was confident she could find a buyer. With her enthusiasm we knew that if she took a potential buyer through our home she would make them excited about it also. Well, she certainly came through! She found a buyer the first day - I think the rapid chain of events even surprised her! She showed our home to a couple who she was sure were perfect match. She's reliable, honest, hard working, dedicated and very easy to deal with. Unlike other realtors, she doesn't come across as pushy and doesn't have a "know it all' or "you need me" attitude. We felt she genuinely wanted to help us in every way she could and she certainly did! If you want a stress-free sale - Carla is the one to call. I've already recommended Carla to a friend and will continue to brag about her to anyone who will listen!" "I have never witnessed the level of dedication, determination and sheer effort that I have seen with you." "In the time I have been involved in Real Estate, I have never witnessed the level of dedication, determination and sheer effort that I have seen with you. You have an unwavering sense of work ethic (without being arrogant) that has resulted in a success unparalleled from any that I have seen! All your efforts are serving you well and I wish for you many, many more successes. WAY TO GO GUYS!!" "They are not high pressure, and that is why we have bought 2 homes from them within two years." "As first time buyers, Carla and her team really helped us understand the process. Buying real estate can seem overwhelming sometimes, but we were impressed with Carla's level of knowledge. All of our questions were answered and by the end of the process, we were very much at peace with our decision. We chose to business with Carla again because of a previous positive experence we had with them helping us purchase our first condo. Carla and Cal are great at giving you both the positive and negative aspects of a deal and letting us make a decision that is right for us. They are not high pressure, and that is why we have bought 2 homes from them within two years. Just wanted to say a big thank you for all of your help over the past couple months. We couldn't have asked for a better realtor!" 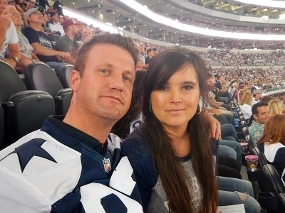 "We feel we not only sold a house and bought a new home, but we made friends in the process." Carla and her team made our selling and buying transactions smooth and simple.We felt Carla excelled at her area knowledge and keeping focus on our buyer needs. Without much effort our home was put up for sale and within 24 hours we had 24 viewings, 4 offers and a final sale price of $13,000 over list! We never felt pressured to sell. They stressed to us that we needed to be happy and feel we could trust them in whatever decisions we made. We feel we not only sold a house and bought a new home, but we made friends in the process. "Once we chose a home we felt was perfect, they outlined some negative aspects of the neighborhood, houses, etc." When asked to meet for lunch, we assumed it was going to be a sales pitch. However, from the initial introductions, Cal & Carla were sincerely interested in our motivation for buying a house. They engaged us in great conversation and gathered all the information about our likes / dislikes, wants and must haves. In addition, once we chose a home we felt was perfect, they outlined some negative aspects of the neighborhood, houses, etc. This helped keep us focused and enabled us to make a well informed decision. "I sincerely appreciate the time you took with me in looking and your patience and understanding." Carla, I wanted to thank you for the prompt and professional job you did in selling my home and helping me to find another so quickly. I had done a considerable amount of searching on my own prior to meeting you and I believe I had a good knowledge of the market. When I finally did decide to sell, you were able to sell my home in 10 days for almost full asking price. I was unsure that I would be able to find the right home for us. I sincerely appreciate the time you took with me in looking and your patience and understanding. By working with you we were able to find a beautiful home in a great neighborhood, where my daughter already had friends making the transition a lot easier. Again, thank you for everything, you did an outstanding job. Thanks for reading. Additional testimonials available upon request. Call us today - we'd love to add you to this growing list!